See the epic look on this kid’s face, giving it everything he has, well I’d like to think that my (and probably most of the teams’) face looked like that for a good part of the beginning of this month, in the build up to the BRND WGN & University Ring Road Races. 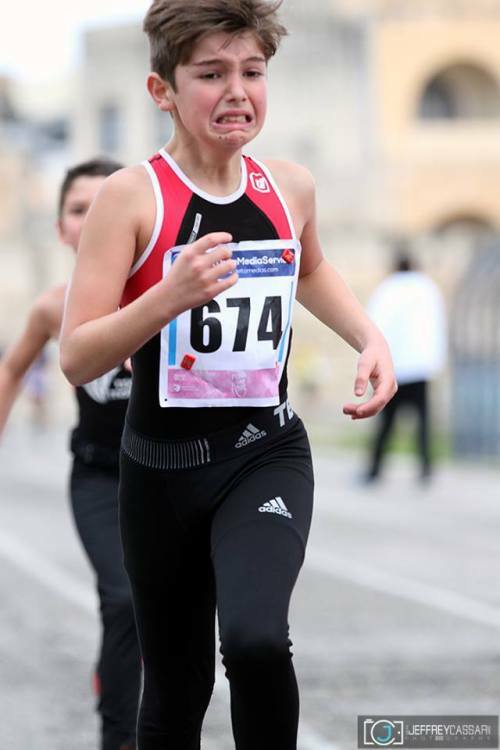 Unlike this kid, I did not run the actual race but organising it was just as strenuous (and yes I am a runner so I can actually relate to what this kid is going through). The Malta University Holding Company has been organising this event since 2013 but it actually dates back to the 80′s when university students would gather on the ring road for a showdown of the fittest. Fast forward 30 years or so and the event has grown into something much bigger with various races namely a 5km, 2km, 5km relay and 800m children’s fun run, attracting runners of all ages, abilities and targets. Each year the races have gotten bigger; this time round was no different with an impressive 370 participants turning up on the actual day (Sunday 13th March). 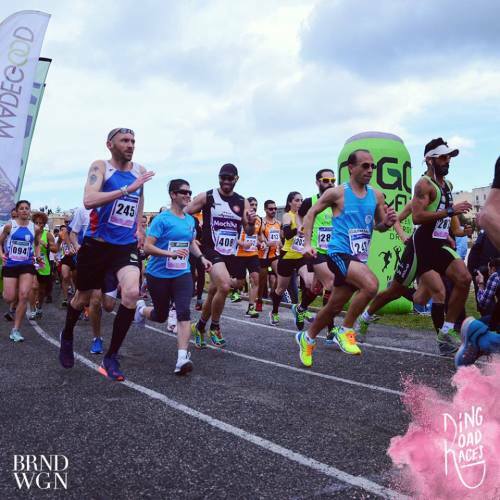 Planning started months before and securing title sponsorship with the BRND WGN team (a crazy bunch of the most creative people you can imagine) meant that we were able to vamp things up. The last few weeks in particular were a mad dash getting ready for the big day, so much so that it’s kind of a blur. Oh and remember the country praying for rain? – Well I was hoping for a sunshine miracle 🙂 It did rain in the end but it definitely didn’t dampen any spirits; records were smashed and whether people ran, walked or danced their way to the finish they all seemed to be having a blast.